Exactly one week after the Nevada State Athletic Commission voted unanimously to banish therapeutic-use exemptions (TUE) for testosterone replacement therapy (TRT) in combat sports, the California State Athletic Commission has followed suit. Shortly after the NSAC banned TRT, the UFC issued a statement in support of the monumental verdict. The planet’s premier mixed martial arts promotion proclaimed they would do the same by forbidding their fighters to use TRT on any out-of-country event the UFC oversees when a governing body isn’t available. Chael Sonnen (pictured), Vitor Belfort, Dan Henderson, Antonio “Bigfoot” Silva, Frank Mir, Ben Rothwell, Nate Marquardt and Todd Duffee are current UFC fights known to be on TRT. Coincidentally, it is this same CSAC that busted Sonnen for elevated levels of testosterone back in August 2010 following his submission loss to then-UFC middleweight champion Anderson Silva. 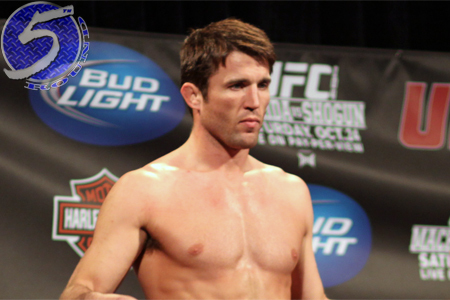 Sonnen’s testosterone-to-epitestosterone ratio was clocked at 16.9:1, over four times the legal limit (4:1) permitted by the state. While other fighters had used TRT prior to the incident, this case is what really put TRT on the map in MMA.